We’re talking today again about how organizations can develop and use asmall business marketing and PR to drive business results such as leads, revenue, web traffic, thought leadership, and executive positioning. By now you have probably heard of content marketing. It’s apparently all the rage. In fact, some web and marketing experts have decried the end of content marketing because we have too much content. To be clear, there will never be too much content, as long as Amazon, Google, Microsoft and huge server centers in the side of desert mountains exist. But there can be too much bad content. 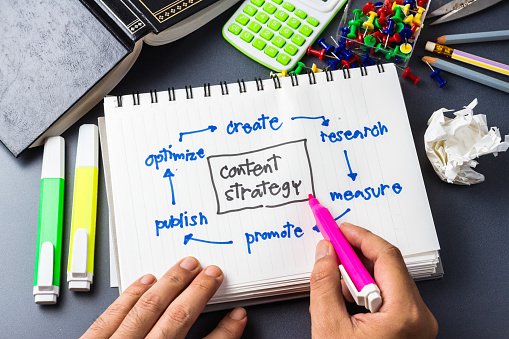 So how do start using content in your pr and marketing efforts? Here are three things to consider. Use content in your small business marketing and PR to showcase your expertise. This is the primary use of most content marketing – to establish your organization as an expert in answering questions that your customers or clients are asking. From this expertise comes trust, and from trust comes a willingness to buy your product, service, or support your cause. The key to successful content marketing is to give your audience something they can’t or won’t get elsewhere. In other words, you have to pull back the curtain on your secret sauce, special product, or upcoming event…a little bit. Tell me a handful of things that I don’t know, give me a few tips to manage my books a little more effectively, and I’ll come back. Or, you could charge me for a half-hour of your time, which will make me resent the nickel-and-dime approach. Good organizations build relationships, and that’s how you use content – to build a relationship with your audience. Don’t be afraid to share some simple tips, or a few how-to’s, with your current and prospective customers. Don’t fear the share. Use content to drive leads from your small business marketing and PR. Once you’ve established your organization as an expert, and you’ve built some trust with your audience, it’s appropriate to ask them to take one more step into your sales funnel. This is done by offering additional content, such as an ebook, a seminar/webinar, or some special access in exchange for their contact information. Typically, lead generation comes in the form of an email submission or sign up. Sometimes the leads are just email addresses; other times leads are full names, phone numbers, and more. We recommend starting small – with just an email address, maybe a name also. By offering more in-depth content in exchange for contact information, you are giving your prospects the chance to say “yes” to a more substantive relationship with your organization. You’re also giving your pr campaign plan a better chance to show real ROI. Combining several blog posts into an e-book that is downloadable in exchange for contact information. Including a subscription link at the bottom of contributed articles, white papers, or case studies. These are just a few simple tools you can start using now. For more robust lead-generation tools, look at a service like Leadpages, which – you guessed it – helps you create landing pages to collect leads. Make your small business marketing and PR content visual. Nobody wants to read endless pages of content, right? At least, most of us don’t. Every piece of content you create doesn’t have to be written. In fact, research indicates that most people are more likely to respond to visual content over the written word. So, in addition to your blog posts, white papers, and case studies, get outside the boring confines of your keyboard and look into other options to share your expertise. Even better, use a blog post or white paper you’ve already created as the basis for new visual content. This repurposing approach, gives you the chance to share the same expertise you’ve written about, through other channels that may reach new audiences. For example, if you have a “how-to” blog post with five tips, use a graphics tool like Canva or Piktochart to create an infographic that summarizes the tips. Another option is to use Powerpoint or Keynote to develop a slide deck on those same five tips, and upload it to Slideshare. You could also create a simple video using screen recording software to take your audience through the five tips as if they were listening to you at a presentation. These are just a few simple ideas. There are lots more. The important thing to remember is not every piece of content in your small business marketing and PR has to be written. In fact, it’s better if it’s not.